Time travel is a concept that has been approached from many different angles by countless authors, each one trying to accomplish something specific, to materialize their concrete view of the concept's realization. While some like to get down into the details, there are others for whom it's really more of a way to transport the reader into an unfamiliar setting while sticking with a familiar type of character, sometimes even being a stand-in for the audience. 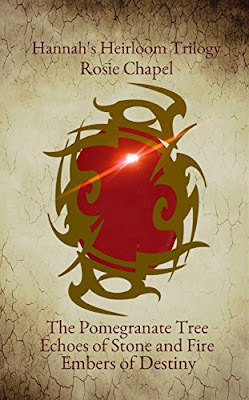 For authors like Rosie Chapel, time travel is more part of the plot than the actual plot itself, at least if we just take a look at the three novels which constitute Hannah's Heirloom trilogy. Just to give you the lay of the land, they follow the titular heroine as she travels the world in modern times and in each book finds herself transported into the past as a woman she seems inexplicably linked to. Juggling life between the past and present, she experiences the attack on Herod's Fortress, the eruption of Mount Vesuvius, and life in the badlands of Northumbria... all while trying to further her search for her ancestor's carved pomegranate and feed a blossoming love with her best friend, Max Vallier. 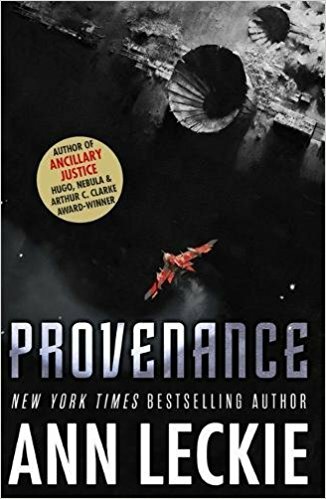 When Ann Leckie began penning her now-famous trilogy, she had no idea the extent of the world she would end up creating and how many stories it would be able to encompass within itself. Throughout the three novels she developed it to such an extent that the world itself became a character of its own, one that begged for further exploration... which is precisely what she gave us in her latest novel, Provenance . Before having a look at the story itself, I'd just like to mention that while the novel does take place in the same general setting, it isn't really related to the afore-mentioned trilogy and can be completely read on its own. With that being said, the more background knowledge you have about this world and the fresher it is in your mind, the better of a starting understanding you'll have about the dynamics at play here.